The DWCA is pleased to announce that select editions of our club fanzine, Data Extract, are now available through our Online Shop. 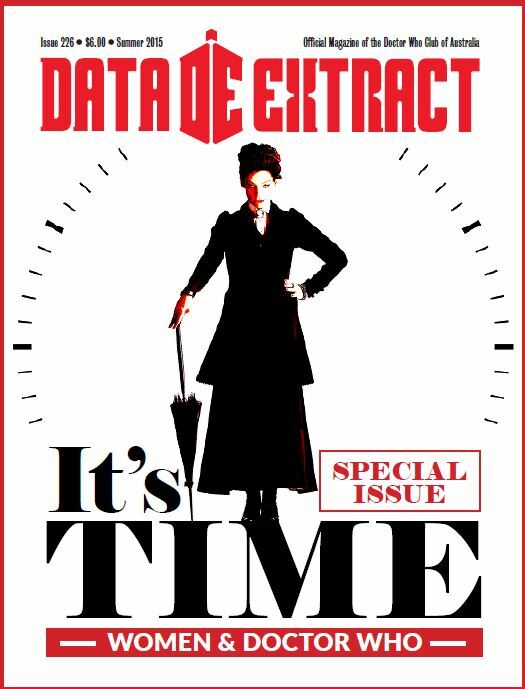 Published continuously since 1980, Data Extract (DE) has grown from a two-page newsletter into a fully fledged fanzine, with articles, interviews, art and more besides. Earlier this year, the first 100 issues of the publication were collected together in one hardcover volume from the first time – from the heady days of the past from Tom Baker’s departure to the end of the classic era and into the Wilderness Years. Now, single issues of DE from 2014 to 2016 are also available for purchase, giving both newer members and curious bystanders the chance to relive some of the recent history of the Whoniverse – from the aftermath of the 50th anniversary to the casting of Pearl Mackie as Bill Potts. Featuring celebrity interviews, event recounts, reviews and fan fiction – including the first stories in an ongoing series featuring original companion Eleanor Chaplette – each issue is chock full of high-quality content written by fans, for fans. 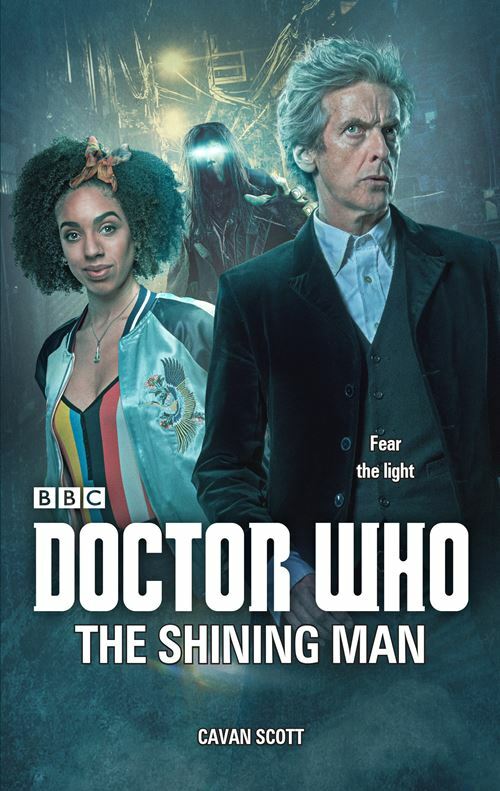 With Stephen King’s IT currently taking the box office by storm, the DWCA Book Club is getting into the spirit of the spooky season with our next novel: Twelfth Doctor adventure The Shining Man. Of course it’s a hoax. It has to be, right? It started as a joke, a prank for Halloween. Then it went viral. Idiots dressing up as monsters. Giving folk a scare. Silly masks and fright wigs. No one gets hurt. Because bogeymen aren’t real. Until people start going missing and lights burn in the darkness. Burning like eyes. If you’d like to share your thoughts on the book, you are invited to come along to our Book Club meeting on Friday 1 December, where discussion will be recorded for the official DWCA Book Club podcast. You can also comment on our Facebook page if you can’t make the event. This offer is valid for all Book Club titles from Blake’s 7: Mediasphere onwards, until stated otherwise. Reviews should be sent to Dom Kelly at fsq@doctorwhoaustralia.org. The DWCA is pleased to announce the election results from its recent Annual General Meeting, held on Sunday 13 August at Club Burwood, Sydney. Each of these people also held the same position the previous year. The DWCA would also like to announce a change to the non-office bearing position of Local Groups Manager, which has until now been held by Tai Wong. 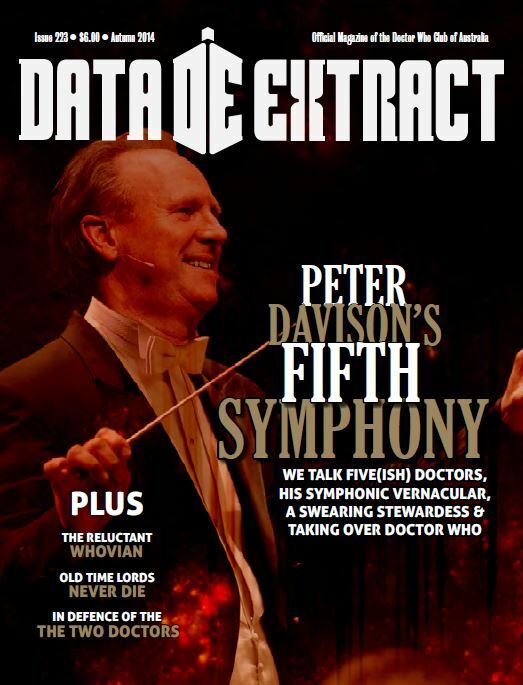 Tai recently indicated that he would be resigning from the committee, ending several years of service which have seen him previously act as the editor of Goods Gallery of Gallifrey for Data Extract magazine, as well as a general assistant to the team. We wish him well on his next endeavour. Tai’s position on the team will be filled by Shania Everson, as appointed by the members of the committee. Like Tai before her, she will be the club’s contact for all things to do with local groups, offering advice on everything from event ideas to how to set up your own group from scratch. She can be contacted at local@doctorwhoaustralia.org. LOOK WHO’S TALKING 2017: One weekend, two exciting DWCA events! The DWCA is excited to announce the return of Look Who’s Talking, a two-part event giving Doctor Who fans the chance to meet celebrity guests in a fun, friendly and informal setting. The weekend will kick off on the evening of Friday 6 October with a very special edition of the DWCA Book Club, as we will be joined by husband-and-wife writing team Jonathan Blum and Kate Orman. 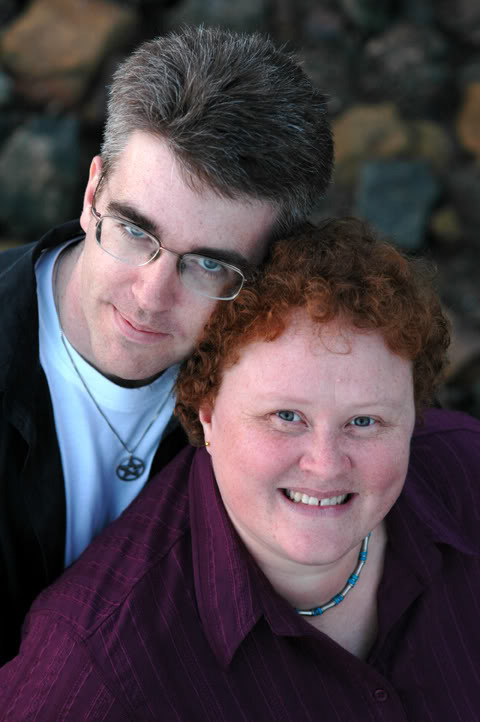 Jon and Kate have been authoring fiction for the Whoniverse since the Wilderness Years, having written together and separately for the Virgin New Adventures, the Eighth Doctor Adventures, the Bernice Summerfield books, the Big Finish monthly audio adventures and more. More recently they expanded their horizons into cult sci-fi show Blake’s 7, devised by Dalek creator Terry Nation and long considered Doctor Who’s unofficial cousin. Event attendees will have the chance to hear Jon and Kate talk in-depth about their work on the Blake’s 7 novel Mediasphere – the current set text for the club – as well as some of their other projects. Limited copies of Mediasphere and other Orman/Blum titles will be available for purchase from the DWCA Shop on the night. Book Club tickets are completely free; however, online booking is essential as space is strictly limited. Attendees are also asked to purchase food or drink from the venue on the night. The fun will continue on Sunday 8 October, with a DWCA day event featuring comedian and actor Adam Richard. Adam will be best known to Doctor Who fans as a regular panellist on ABC2’s Whovians, broadcast during Series 10, but this is far from his first foray into the realm of science-fiction. Adam previously co-created and starred in the six-part ABC comedy series Outland, which documented the adventures of a group of gay sci-fi fans, back in 2012. He also popped up in an episode of sci-fi/comedy audio series Night Terrace, created by his partner in crime on Outland, John Richards. We look forward to hearing from Adam about his work and life as one of Australia’s most beloved sci-fi geeks! Admission for this event includes a small fee to cover the cost of the venue, although children under 13 are free with a paying adult. Each ticket includes a token for a complimentary autograph from Adam, as well as automatic entry into the club’s door prize competition. Book online to secure your ticket now and receive a second door prize entry absolutely free! The DWCA Book Club is taking a detour away from the Whoniverse for its next meeting, discussing a book set in the world of Doctor Who’s unofficial cousin – cult classic sci-fi series Blake’s 7. 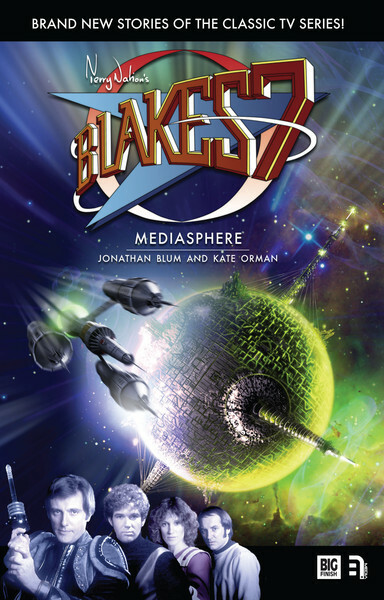 Mediasphere is the eighth in a series of standalone Blake’s 7 novels from Big Finish Productions, written by Australia’s own Jonathan Blum and Kate Orman. The novel focuses on new recruit to the Spaceship Liberator, Dayna, as the crew infiltrate the Mediasphere – a space station which produces propaganda and popular entertainmen for the evil Federation. But who is really controlling the Mediasphere – and scripting a series of deadly encounters for our heroes? 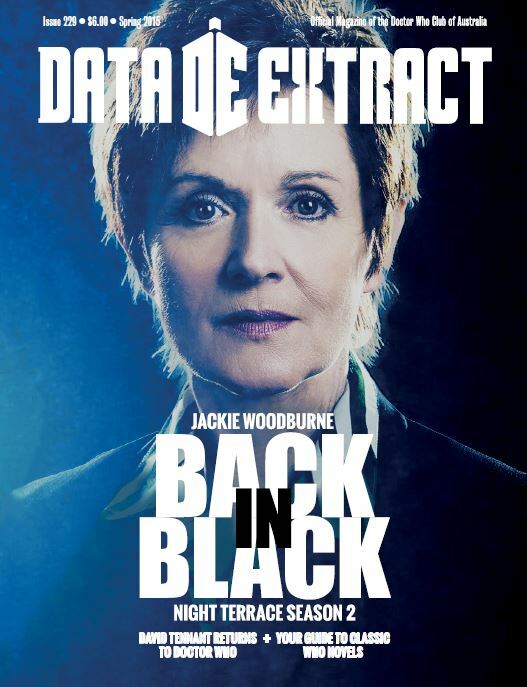 Discussion of the book coincides with the debut of Dayna in the latest Blake’s 7 audio box set from Big Finish, The Spoils of War, with Yasmin Bannerman (Doctor Who: The End of the World) cast in the role in question. Discussion of the book itself will take place at our Book Club meeting on Friday 6 October, as well as on our Facebook page for those who can’t make it. 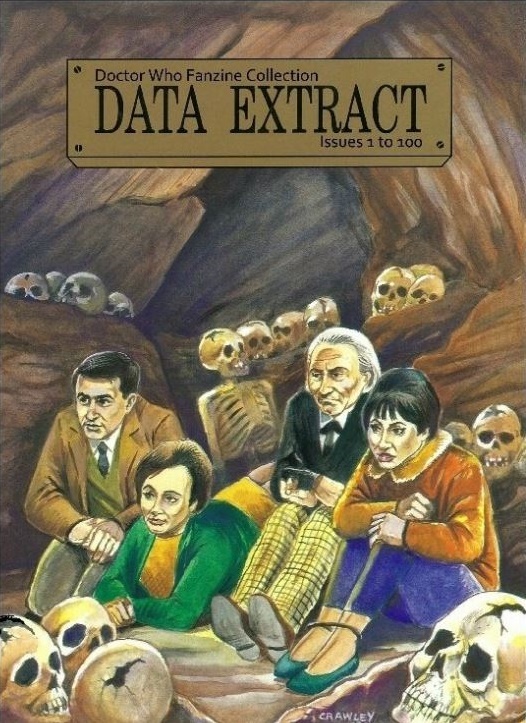 The DWCA is excited to announce that the first 100 issues of the club fanzine, Data Extract, have been collected together in one special archival volume for the first time. 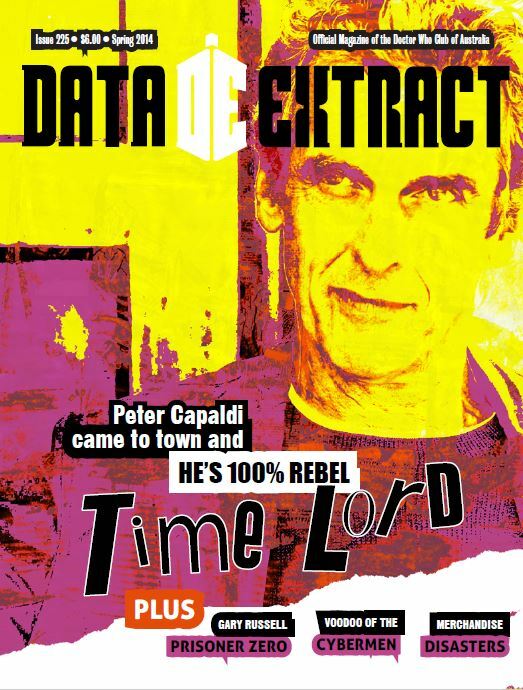 In 1980 a publishing legend was born with the release of the first newsletter for the Doctor Who Club of Australia. Editor Dallas Jones named it Data Extract and under his stewardship the publication grew from a two page newsletter into a fully fledged fanzine, with articles, interviews, art and more besides. Now for the first time since their original releases, the first 100 issues of this Doctor Who fanzine have been reprinted and collected in one hardcover volume. Relive the heady days of the past from Tom Baker’s departure to the end of the classic era and into the Wilderness Years. It’s all here, presented exactly as it was. This collection features interviews with Jon Pertwee, Sylvester McCoy, John Freeman and Jeremy Bentham. 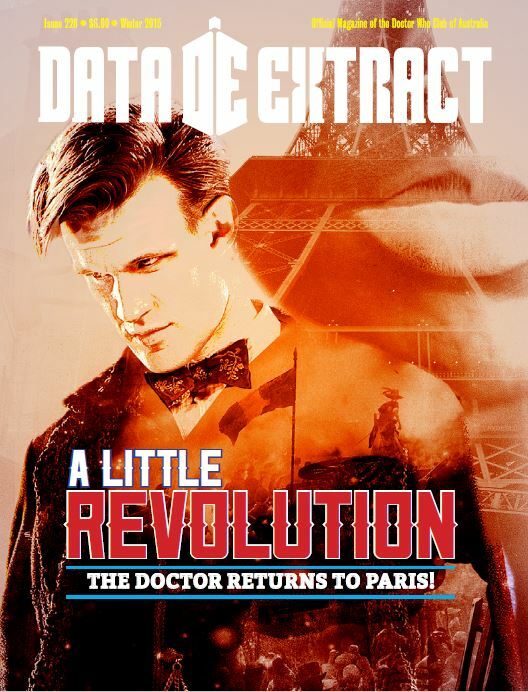 Experience Doctor Who history through the eyes of Australian fandom with the first 100 issues of Data Extract, Down Under’s premiere fanzine and the flagship publication of the DWCA. 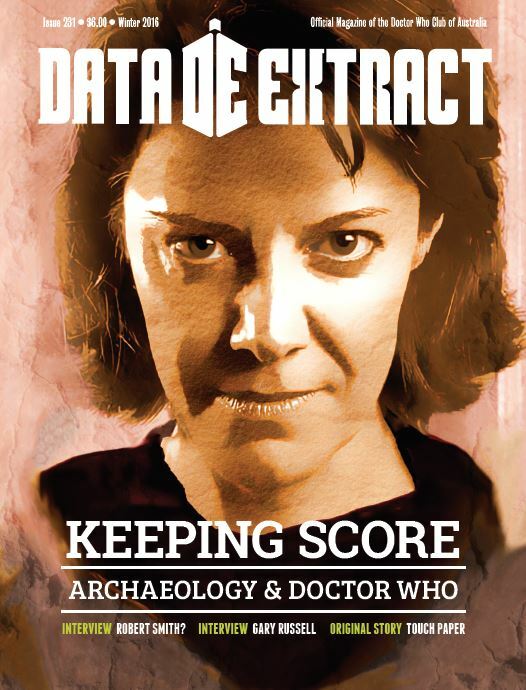 The Doctor Who Fanzine Collection: Data Extract Issues 1 to 100 is available through Lulu. For your copy, click here. Assistance with quarterly mailout of Data Extract magazine. The BBC has announced that the new companion to the Twelfth Doctor, Bill Potts, will be an openly gay woman. The news will apparently be revealed in Bill’s second line of dialogue in the opening episode, The Pilot, to be shown on ABC on 16 April and in selected cinemas. Speaking about the revelation, Mackie said her character’s sexuality “shouldn’t be a big deal”. “[Being gay] is not the main thing that defines her character – it’s something that’s part of her and something that she’s very happy and very comfortable with,” she said. Mackie did note, however, that representation of different races and sexualities is important, especially on a mainstream show such as Doctor Who. Of course the Doctor has had LGBT friends before – both Captain Jack and River Song had relationships with both men and women, and though Madame Vastra and Jenny were not technically companions, their status as a married lesbian couple was seen as a big milestone for the show. Bill will however be the first companion to both identify as gay and travel in the TARDIS on screen, joining off-screen companions such as Izzy Sinclair from the comics and Oliver Harper from the Big Finish audio dramas. The ABC has announced a brand new panel show to accompany Doctor Who on Sunday nights – and Australian fans are invited to join in the fun! To be broadcast following each episode of Series 10, Whovians will see Doctor Who enthusiast Rove McManus and his team of superfans dissect the world of our favourite Time Lord. As well as unpacking the most recent episode, the team will also go back in time to analyse, critique and unravel the mysteries of the series. Rove will be joined by other self-confessed Doctor Who superfans Tegan Higginbotham, Adam Richard and Steven ‘Bajo’ O’Donnell, as well as a roster of celebrity guests. 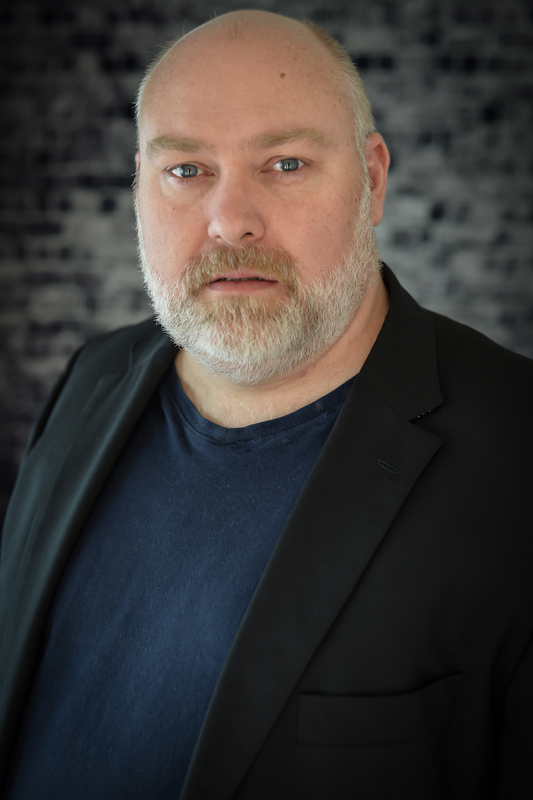 The DWCA is delighted to announce a special guest for our Inner Sydney Tavern night on Friday 3 March – British actor Richard Unwin. 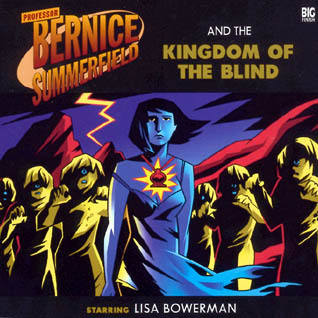 Richard is a huge Doctor Who fan and has been lucky enough to lend his voice to four audio dramas with Big Finish Productions – Doctor Who: Three’s Company (as Vidler), Bernice Summerfield: The Kingdom of the Blind (as the Monoids), and Gallifrey: Appropriation and Fractures (as Tooz). He’s coming to Australia with the play ‘The Chemsex Monologues’, which is playing in Adelaide and Sydney during March. 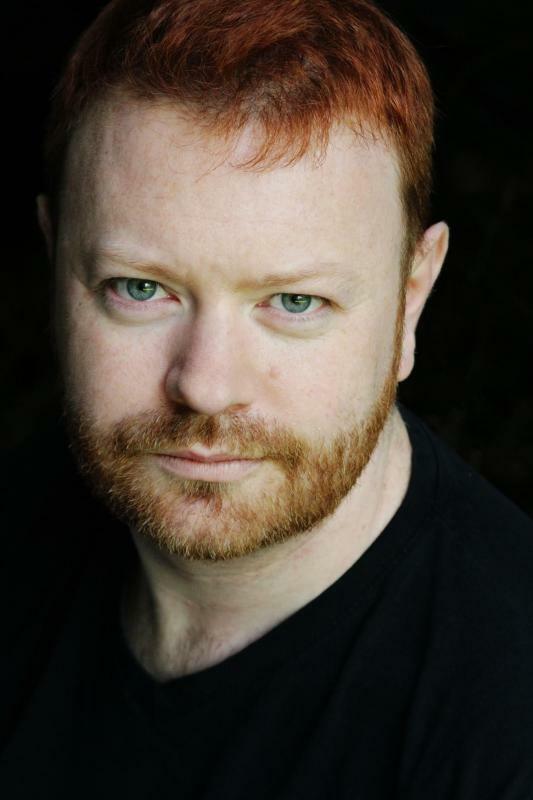 Richard will be taking part in a Q&A session covering his work in the Whoniverse and will also be joining in the group discussion for the evening, including our analysis of the current DWCA Book Club text ‘Engines of War’ – an original novel featuring the War Doctor.